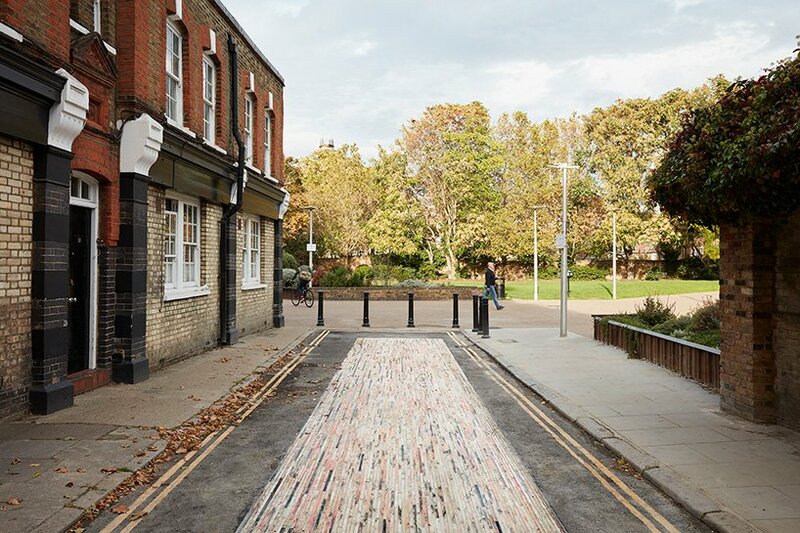 opening for november 2018, michael anastassiades installs a permanent installation that literally enlivens the streets of london. 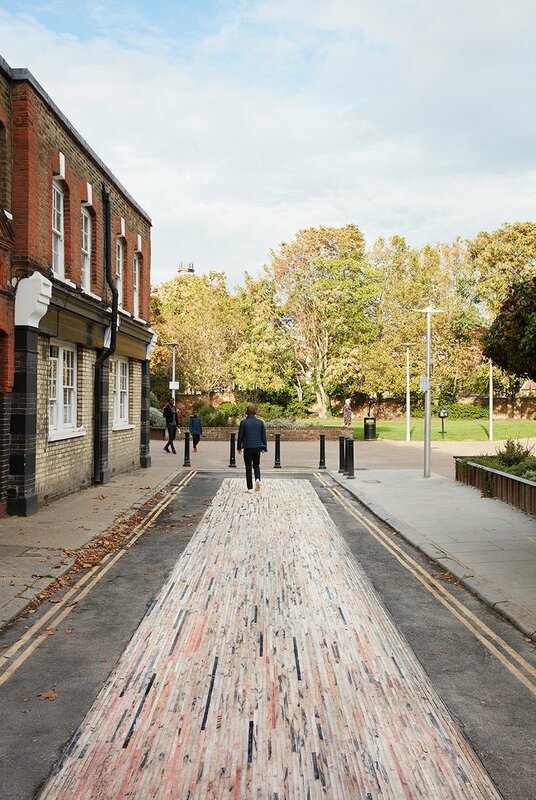 the secluded mint street, located in southwark, has been paved in a carpet of recycled marble. each cobble’s uniqueness helps create a pathway of changing, stimulating colors and patterns. 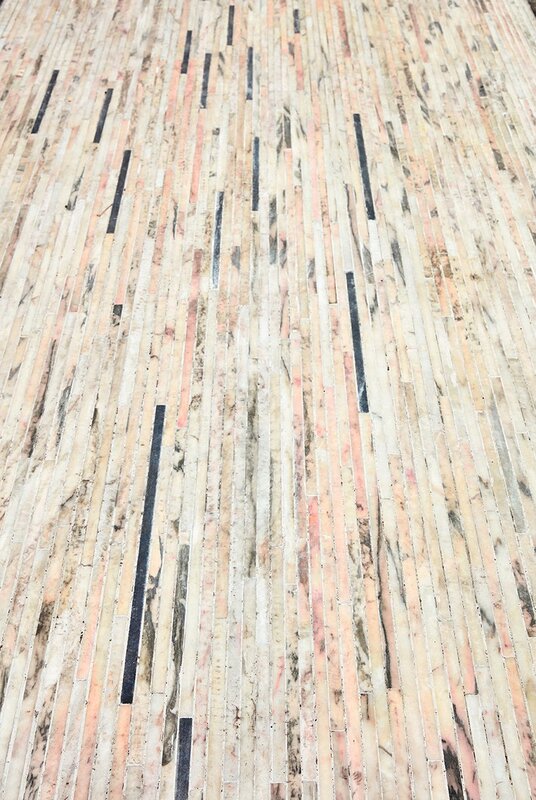 with minor flaws, discoloring and imperfections, much of quarried marble is wasted after being rejected by contractors, architects and designers. co-curated by london design festival and lisbon-based experimentadesign, portugese quarry marble companies mármores galrão and dimpomar challenged them to creatively use this unwanted material. michael anastassiades focused on the edge of marble rather than the traditional flat surface. 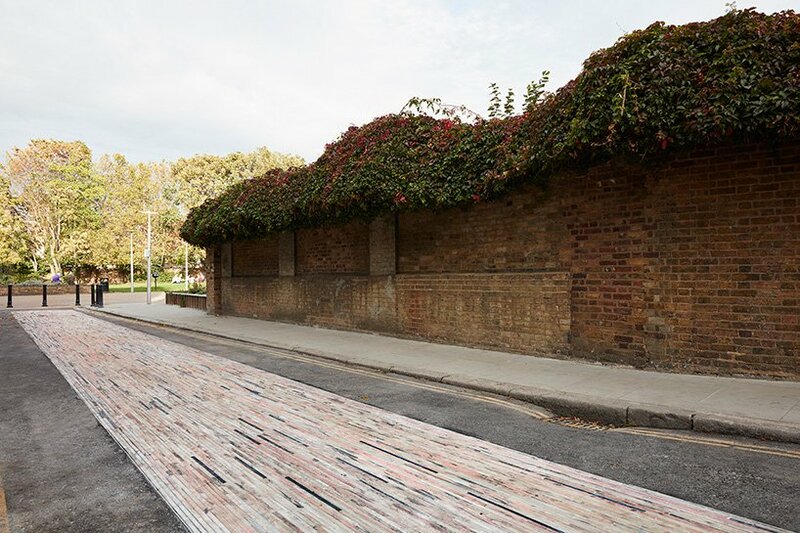 the result references cobbles as seen throughout portugal whilst, at the same time, contributing to the urban landscape by linking mint street park to the neighborhood.